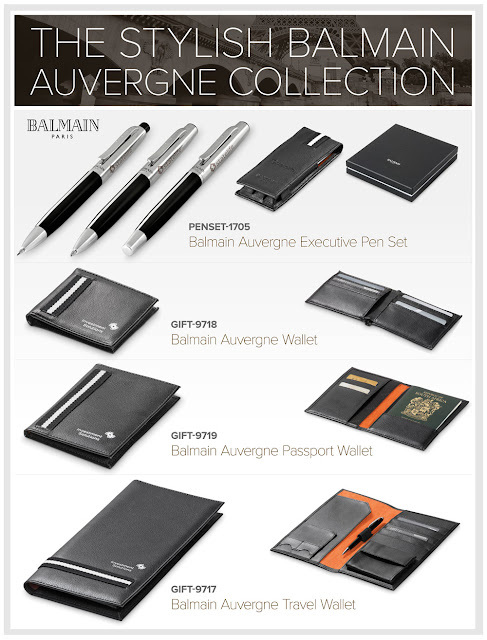 Incredibly stylish and beautifully designed, Balmain’s Auvergne Travel Collection will impress even your most discerning clients. When nothing less than the best gifts will suffice, select Balmain! No matter how big, small, simple or complex an idea is, jot it down in the new Broadband A5 Notebook.This cardboard-cover notebook consists of 120 lin..
Marksman is a brand that is synonymous with high-end business gifts, designed with an innovative mix of cutting edge creation and exclusive design. Th..
Marksman is a brand that is synonymous with high-end business gifts, designed with an innovative mix of cutting edge creation and exclusive contempora.. Available in 3 great colours, the versatile Sensationz Stylus Rollerball is ideal for using with smartphones and apple ipads.Order 100 or more and rec..